In December 2017, the CCCWA issued an official statement regarding the customary orphanage donation. It stated that the donation should be voluntary, that parents can designate how it is used, they could “come to an agreement” with the orphanage on the donation, and that agencies should not interfere or influence parents regarding the donation. You can read the statement here. Although I have been meaning to put up a specific post on the donation that could be shared, I didn’t immediately do so. One reason is that it’s always important to see how these things play out rather than to jump to conclusions. I was hoping that it would be followed up by the CCCWA instating a standard fee for orphanage support that would be paid to a centralized entity to distribute. Another reason is that I have strong feelings on the subject but I strive to write as neutrally as possible so I wanted to give myself time to reflect a bit. However, yesterday an agency notified families that the Tianjin SWI has informed them that they will no longer prepare files for international adoption because so many families have not made any donation when adopting. This has set off widespread online discussion which revealed a lot of misunderstandings about the orphanage donation. I want this post to try to answer as many questions as possible so that people will feel confident they are doing the right thing by continuing to donate the customary amount. If China said we don’t have to pay the donation anymore, why would they be mad if we chose not to pay it? The CCCWA is the central authority governing adoption in China. However, orphanages are individually run. It is a similar set up to how the US Department of Education oversees all of education but your local school is run by your state by tax dollars you pay in your city or county. Orphanages in large cities typically are better off than those in impoverished rural areas. It is the CCCWA which made this decision without consulting the local orphanages, or even giving them advance notice of it. Orphanages plan on having a set amount being donated per adoption. That rug was suddenly pulled out from under them. But why would orphanages stop preparing files even if people don’t donate. We’re saving them money by taking these kids off their hands! Meredith Toering, who runs Morning Star, a charitable organization which works with orphanages in China, gave a wonderful response to this question. She explains exactly what is involved in file preparation. I have received her permission to post her words on my blog. I spelled out a few words she abbreviated for clarity. 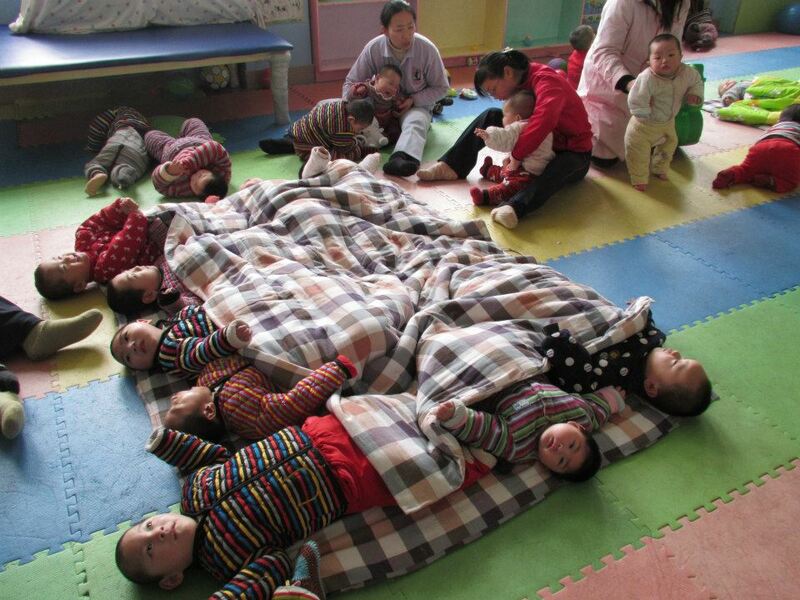 I run Morning Star, a foster home in Beijing, and this topic has been devastating me. I was at this specific SWI [orphanage] last week checking on a child, and have been in the middle of discussions with several SWIs that I currently have children in my home from right now. I have been asking them to please start to prepare the paperwork for these kids, because I realized the orphanages had stopped reaching out to ME about paperwork needed to complete files for most of the kids. In at least 3 specific cases with separate orphanages that I have spoken to, they have told me that they no longer want to prepare files for international adoption because “the cost and the time is no longer worth it”. There are hundreds, if not thousands of babies in orphanages. The government pays a stipend depending on how many children are in the orphanage at any given time. Quite simply: many orphanages are struggling for funds, and financially — they need that stipend for EVERY child. They lose money when they lose a child to adoption. It’s a broken scenario, but that’s the deal. Second: it costs a substantial amount for a child’s file to be created. It is so much more than just the little check off box. There are notary fees and document shipping fees and authentication fees, and on and on and on. NOT TO MENTION ANYTHING MEDICAL. Every echocardiogram, every test, every CT or MRI or scrap of medical info that we are all so desperately looking for in those files? That all comes out of pocket from the SWI paying hospitals for those tests for the kids. Things are cheaper in China, yes. But that can easily be hundreds of dollars. Third: it is a ridiculous, genuine hassle for orphanages to prepare this paperwork. I know because I/we have to do just a small part of it when the orphanages ask us for information and paperwork for the children we are fostering to include in their files. There is schlepping all over town to get the pictures that you need… the right documents… finding the right person who can give the right signature at the right time. Scheduling all the appointments and taking the time to fill out all those forms. It is an entire job… and they are trying to do it for child after child after child, and now seeing that the result is NOT worth all their effort. Maybe your child didn’t receive the best care in the orphanage… maybe you think the director is going to misuse and mishandle the money. Maybe so. As with any charitable donation, once the funds are out of your hands — given — it is technically out of your control. What I have seen, more times than not, is that the orphanages are trying the very best they can with the resources that they have. Many times, people have donated here on the other side to fund OUR adoptions, and they don’t get to specify where the money goes, how it will be used… whether or not you choose to upgrade to economy plus or tack on a trip to HK Disney or eat the nice Western meal while in China or whatever it may be. Those choices aren’t questioned and we aren’t called out by the adoption community to give a detailed account of how each and every dollar that was donated to us was spent because of the gift of the benefit of the doubt, trusting that we hold the best interest of bringing our child home at heart 💛. That same child is the most important thing we bring home from this trip, and thanking their first home for the care they were given (whatever that standard of care may have been) by means of financial donation is, quite honestly, the most important donation you will make throughout this entire process. Could we not extend that same grace and gift we so easily give to adoptive families working to bring their children home… to these SWIs in China, most of whom are doing the absolute BEST they can with the very little that they have… and trust that regardless of how our donation issued dollar for dollar, we are continuing to pave the road for families to come behind us… as those who came before us did for us? Sorry for the novel. Just my two cents from someone on this side of the ocean working closely in this space. But my child is in foster care/a charity-run foster home so the orphanage hasn’t spent any money on them. Wouldn’t it be more appropriate for me to pay that money to the organization that provided care for my child? People have this question a lot. It’s wonderful that so many children are benefitting from foster care or given the additional specialized care they need for their condition. But please keep in mind that the orphanage paid to have your child’s file created. The orphanage gave permission for him or her to be moved to a medical foster care home or be included in a foster care program. Your child has *greatly* benefited from the orphanage because of that. Orphanages move children to medical foster homes because they need more care than the orphanage can provide. The fewer donations the orphanage receives, the harder it will be for them to pay for the additional staff they need to give children better care. From my view, the point of the donation isn’t to pay back some of what the orphanage spent on my specific child. It is to pay it forward so that all of the children who will never have a file prepared will get better care. When we visited our son’s orphanage, most of the children we saw there did not and would not have a file prepared. Those who have a file prepared and find an adoptive family are truly the fortunate few. Paying the full customary amount of the orphanage donation is about showing your gratitude for the opportunity your child has been given, to make sure other children are given that opportunity, and to care for those who will never be given that opportunity. Another thing I think people forget is that you can make a donation to the charity which cared for your child at any time, not just at the time of adoption. Scrounge up to pay the full donation, then next year when you have a little more money make a donation or sponsor a child through the specific charity which cared for your child. Has anyone not donated the full amount recently? How did that go? I’m worried if we don’t give the full amount they’ll try to guilt us into paying more. I think these kids are just money to them! I think if you choose not to donate the full amount you should be prepared to face negative reactions to that decision. As I said, orphanages had no involvement in this decision and they are suddenly faced in a significant drop of funds they had depended on. 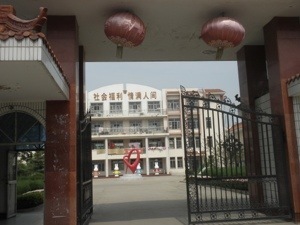 Tammy Wombles, who works in a Chinese orphanage, has written an excellent post discussing cultural differences between the Chinese and Americans as regards the orphanage donation. When the director of an orphanage makes a plea on behalf of the needs of the children in her care, she is doing so out of concern for those children. If the official “asks the guide to ask you for more money,” this is not the time to treat the officials in a condescending way by ignoring those requests and immediately going into a spiel about, for example, how generous your family plans to be in donating to other (wealthy) Americans who are adopting. At that point in the conversation, the orphanage officials aren’t interested in your charitable donations to others, and your talking about it is only adding fuel to the fire. If you don’t want to give more, then simply don’t give more. But be polite. And, maybe…just stop talking. And remember, just because a family considers an amount to be “a substantial donation,” orphanage officials might actually feel quite the opposite and construe that donation as a slap in the face. If this money is so important, why didn’t China just change it from a “donation” to a “fee”? Problem solved. That’s the million dollar question, isn’t it? I wonder the same thing. However, we can’t control how China decides to handle the situation, only our response to that situation. Look, we’d love to pay the full donation. We had planned to make the full donation. But now we’re traveling in a month but the money just isn’t there. Have only the two parents travel, no siblings. Choose to take zero tours, no stops at Hong Kong Disney, no “economy plus” airfare, no “executive benefits” at the hotel. Have only one parent travel. That pays for the donation right there. That would be a big sacrifice, but one we would happily make rather than to donate less. Put all of the travel expenses on a credit card so we have funds on hand to pay the donation. We can pay the travel expenses off over time, but we need to pay the donation now. As a very last resort, ask my agency if there is a way they could wire an additional donation on our behalf after we return home so that we could eventually pay the full amount. Most of the time orphanage officials just pocket that donation so it’s not even going to the kids. I’m not going to encourage corruption by lining their pockets now that I don’t have to! It is true that there will always be some corruption in the system. Both of my sons were well cared for, so I am perhaps overly optimistic in hoping that corruption is the exception rather than the rule. But the reality is that you are already participating in this system by adopting through the China program. If you are right that the particular orphanage you would have donated to is corrupt, they will likely cease to make children available for international adoption once the revenue dries up. If the orphanage is not corrupt, they now have even less money to spend on food, clothing, staff, and medical care for the children they care for. Either way, it’s the children who suffer from your decision not to donate rather than the officials. I have no control over that money once I hand it over, but I know that I’ve done what I can to care for the children left behind. I encourage you all to continue to make the full customary orphanage donation when you adopt. This entry was posted in Uncategorized and tagged China program updates on April 26, 2018 by minefam. As school winds down for the year, it’s a good time to give teachers the resources to plan inclusive assignments for their students. This excellent pamphlet from Adoption Policy gives inclusive assignment alternatives to teachers, as well as succinctly explain why it is important to consider students who were adopted or have other alternative home situations when planning lessons. Time magazine’s The Realities of Raising a Kid of a Different Race is very well written article on the complexities of racial identity for cross-culturally adopted children. I was contacted by Daniel Cassiel, an adoptive father, who has developed a Mandarin translation app for adoptive parents. It is available for both Apple and Android phones. You can read more about it here. WACAP has a blog post offering tips on how to foster attachment to both parents when a child prefers one. This is a very common occurrence that can cause one parent to feel rejected and the other overwhelmed. Because most adoptions today involve children with special needs, Lifeline’s blog post Nine Things Parents Need to Know About Occupational Therapy will be helpful to many families. Caroline Wang’s A Letter to Asian Girls is a difficult but necessary read for parents raising Asian girls. Contains profanity in the context of things men have said to Wang. WACAP staff suggests 18 movies related to adoption or foster care. On the One Daring Adventure blog, see their 3 week China itinerary for a family trip with their large-ish family. Many families want to make a return visit to China with their children at some point, so consider this inspiration for you. This entry was posted in Uncategorized and tagged What I'm reading on April 24, 2018 by minefam. As the US accrediting entity changes from the COA to IAAME, COA has suspended several agencies recently. This is an updated list as of April 3, 2018. Claims have been added for BAAS, CCAI, Cradle of Hope, and Faith International. If you see the name of your agency or one that you are considering, the COA reminds people that “It’s not uncommon for programs to have an occasional state licensing or Hague Accreditation/Approval regulatory violation. However, serious or regular on-going violations are reasons for concern.” You might still consider using an agency that is on this list. You can see that some complaints are more concerning than others. I also noted the year so you can see how long ago the claims were. Remember that an agency not being on this list doesn’t guarantee that they have no unethical practices. It’s simply one more tool you can use to evaluate your options. ATWA– Agency failed to demonstrate that it was financially stable throughout fiscal year 2013 and completed voluntary corrective action. Adoption Associates (MI)- In 2010, the agency had multiple violations for charging additional fees and expenses beyond those disclosed in the contract. America World Adoptions– In 2012, the agency failed to report a complaint filed with licensing. In 2016, the agency did not provide sufficient individualized counseling and preparation for the adoptive family in light of the particular child’s special needs. Bay Area Adoption Services– In 2014, the agency did not follow state licensing which required a court report be immediately submitted when there is a serious question concerning the suitability of a petition or the care to the child. They did not follow regulatory requirements regarding the finalization of an adoption by not notifying appropriate entities of the circumstances of the case. BAAS did not sufficiently monitor or supervise the child’s placement in the post placement phase. In 2017, the agency failed to take appropriate steps to assess the child’s safety and ensure the proper process was follow after learning of a plan for an unauthorized custody transfer (the adoptive parents were dissolving the adoption and another family adopting the child). They also failed to submit the dissolution of adoption self-report within 30 days of the occurrence and instead filed it with COA 9 months late. Bethany Christian Services– In 2010, the agency failed to include information about an additional adult household member in a home study and RFE response. Chinese Children Adoption International (CCAI)- In November 2017, CCAI was found to have failed to provide post adoption services as outlined in their contract, as well as failing to report a serious injury to a child within 48 hours of learning of the occurrence. In December 2017, CCAI had the information to know that information was missing from a child’s referral and medical records. While they made an attempt to obtain the missing information, they did not continue to use reasonable efforts to secure that information. These findings are vaguely worded in order to preserve family privacy and as a result make the claims seem minor. According to the family involved in this case, CCAI knew that several adolescent boys from a particular SWI were living outside the orphanage being used for prostitution because they had been informed of this by families who had previously adopted boys from this orphanage. CCAI allegedly did not inform the family of this likelihood or make a strong effort to verify whether the boy they were adopting was actually living in the orphanage. He was in fact being trafficked outside of the orphanage for prostitution and after the adoption raped another son in their home. This is the “serious injury” referenced in the report. You may choose to believe or not believe this information, but I wanted to provide the background so that people may make an informed decision. Cradle of Hope Adoption Center– In October 2017, the agency failed to thoroughly evaluate a family’s motivation for adopting at both the application and home study stage, and later when specific concerns regarding the family’s intentions surfaced. Cradle of Hope failed to submit the dissolution of adoption self-report within 30 days of the occurrence, instead filing it 9 months late. Finally, the agency did not verify the adoptive parents eligibility and suitability to adopt nor did it disclose to the home study agency critical information which would have been pertinent in assessing the parents eligibility and suitability to adopt. This claim involves an unusual and rather bizarre situation. When potential adoptive parents inquired about a waiting child, they were informed they were too young to adopt from China. The parents of this couple were eligible, however, and decided to adopt the child for them. Both couples posted publicly on Facebook as if the younger couple were adopting the child, causing several individuals in the adoption community to report the situation to Cradle of Hope. When the agency did not intervene, the situation was reported to the US consulate in Guangzhou where the family was denied a visa because of fraud when the couples involved confessed after questioning (both couples traveled). The adoption was subsequently dissolved. 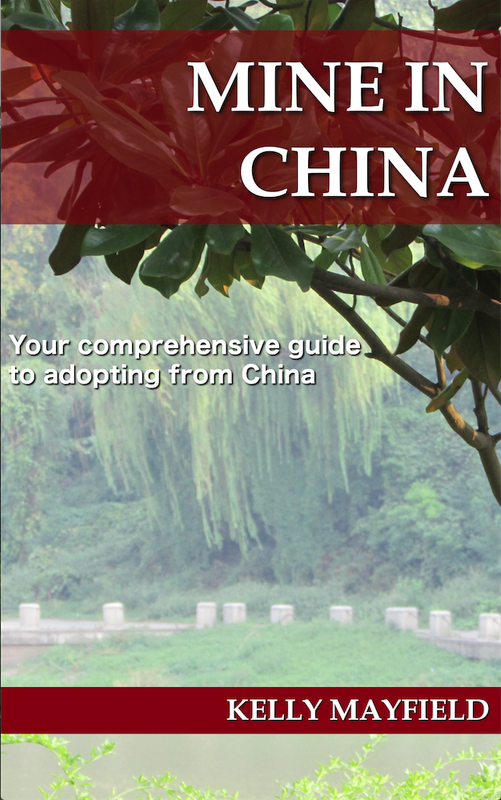 European Adoption Consultants– In April 2016, the COA found a substantiated violation in requiring families take the foreign program fee in cash to China. In December 2016, this agency was disbarred for three years causing them to close permanently. Faith International Adoptions– In 2015, the agency was found to have failed to investigate serious allegations that their contact in India was fraudulently facilitating adoptions in their agency’s name. Faith then provided false and conflicting information to COA during the investigation. They also failed to inform COA that an individual in a senior management position had two felony convictions for acts involving financial irregularities. Faith’s COA accreditation was suspended for a time as a result. On April 2, 2018 Faith’s accreditation renewal was refused by the COA because their accreditation expired while their renewal application was still pending. It was reinstated in December 2018. This lapse in accreditation was due to the change from COA to IAAME as an accrediting entity and was not due to any fault of Faith International. Great Wall– In 2012, Great Wall allowed someone to apply and pay fees to adopt from Rwanda despite adoptions from Rwanda being closed. There was also a memo which gave the appearance that Great Wall would buy their accreditation in Rwanda. Heartsent Adoptions– In 2010, The agency did not report safety concerns to the appropriate authorities in a timely manner. Lifeline– In 2014, the agency did not provide sufficient individualized counseling and preparation to meet the needs of prospective adoptive parents in light of the particular child’s special needs. Living Hope– In 2013, The agency’s orientation training did not comply with standards. WACAP– In 2011, The agency did not provide a copy of its complaint policies and procedures at the time the adoption services contract was signed. Wasatch International Adoptions– In 2012, The agency failed to properly oversee their contractor’s work. The CCCWA’s procedures were violated and the placing order of children was disrupted. They referred a special focus child to a family who did not complete a home study or dossier causing the child to have a prolonged time where the child was not available to be adopted. In a different complaint in 2012, Wasatch failed to follow-up on parents concerns about a child whose eligibility for international adoption was in question. In 2013, they failed to provide sufficient individualized counseling and preparation to meet the needs of prospective adoptive parents in light of the particular child’s special needs. Wide Horizons For Children– In 2012, the agency’s grievance procedures were misleading. This entry was posted in Uncategorized and tagged Choosing an Agency Simplified on April 3, 2018 by minefam.